Blue and her guys have survived a crazed, crystal-wielding almost-mass murderer. Well, two of them in fact. Now she faces something almost just as intimidating for her: going back to school. On top of that, there's apartment hunting, more language lessons, a grumpy Beast-mount, unruly cubs, and oh, yeah, she still needs to deal with her extended family. It's quite a list, but with the help of her husbands, she'll be able to tackle it all, including the possibility of adding to their little family. 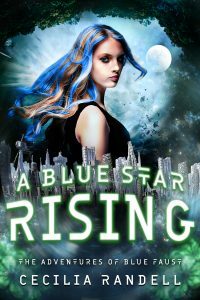 But when a new and deadly drug surfaces, pulling them all into another investigation and adventure, Blue will need to jump into life as a probationary agent of the Order much earlier than anticipated.